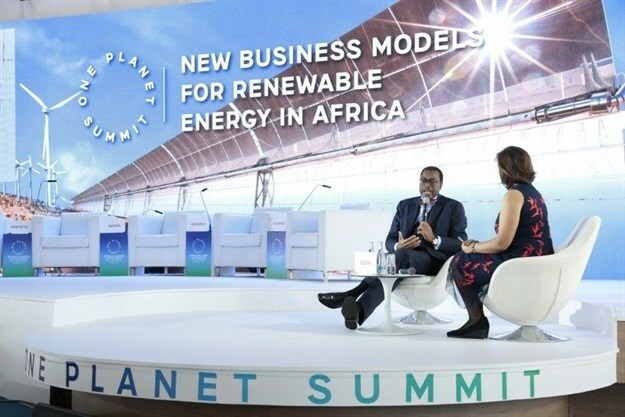 The African Development Bank will double its climate finance commitments for the period 2020-2025, the organisation's president Akinwumi Adesina revealed at the recent One Planet Summit in Nairobi, Kenya. He said that the bank would commit at least $25bn towards climate finance. AfDB pledges $25bn to climate finance for 2020-2025, doubling its commitments. The “Desert to Power” programme, a $10bn initiative to build a 10GW solar zone across the Sahel — the largest in the world — would provide electricity for 250 million people. Together with partners such as the Green Climate Fund and the EU, the bank has now financed the first project under this initiative: The Yeleen Rural Electrification Project in Burkina Faso. Key bank projects include the co-financing of the 510MW Ouarzazate Solar Complex in Morocco, one of the largest solar complexes in the world.